Want to get to know our practice a little better? Then all you need to do is read through the articles and watch the videos below. We especially recommend watching our Welcome video so you can know exactly what to expect whenever you come to visit us! As you’ll see, we often try to help our community well beyond the walls of our office. We Raised Over $10,000 with Spin for Smiles! Over the past 34 years, I have been fortunate to create many beautiful smiles for my patients, which has changed their lives forever. From raising their self-esteem, career enhancement, to even marriage. But there are less fortunate children who are born with oral facial defects that not only prevent them from getting proper nourishment, but also lead them to being rejected socially. I created my Spin for Smiles Fund to raise money for Operation Smile – a global medical nonprofit organization that provides free surgeries for children around the world born with a cleft lip, cleft palate, and other facial deformities. Every three minutes, a child is born with a cleft lip or cleft palate – and many families can't afford the surgery they desperately need. In many places, children with cleft conditions are abandoned or abused. Many times, they have trouble eating and drinking and can struggle to survive. Those that do can face a lifetime of shame and torment. They need our help, and our team — in addition to patients, business partners, and kind friends and neighbors — have donated to help bring hope and new smiles to children suffering from facial deformities. We’ve raised over $10,000 so far — helping Operation Smile provide life-changing surgery and renewed hope for 41 children around the world. 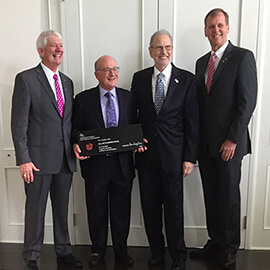 The staff of Smile Creations wishes to congratulate Dr. Allan Mohr, as he was recently inducted into the American Society of Dental Aesthetics at the national meeting in Florida on October 27, 2016. 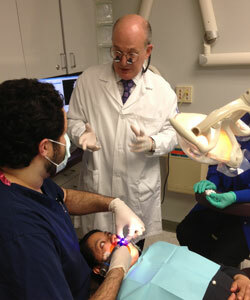 Dr. Mohr is now 1 of 6 dentists on all of Long Island who is now a member of this prestigious organization. He had to submit a variety of his actual cases for review by the Executive Membership Committee to be selected for membership. Founded in 1976 by the “Father of Aesthetic Dentistry” and current president, Dr. Irwin Smigel, the ASDA is proud to be the first national society for cosmetic dentists that was established in the U.S. some 40 years ago. The ASDA is made up of members who share a lifelong commitment to learning and providing exceptional aesthetic and restorative dental care. Since that time, they have sought to constantly improve the field of dentistry through the exchange of information on the best practices, including innovative techniques, technologies, and other topics that are crucial to providing outstanding patient care and long-lasting aesthetic smiles. 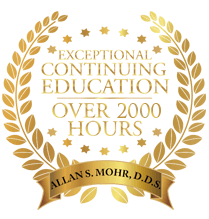 Dr. Mohr, together with other nationally known cosmetic dentists who are committed to excellence, will continue to advance his knowledge in the field of cosmetic dentistry through additional continuing education. 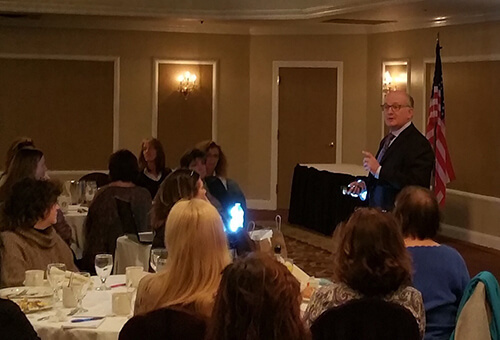 Dr. Mohr spoke with the Long Island Dental Hygiene Forum on Sunday, November 6, 2016. The topic was What Happens When the Chair Goes Back and The Lights Come On, and 100 of Long Island’s best hygienists were in attendance. Techniques related to cosmetic and restorative dentistry were discussed, and Dr. Mohr enjoyed sharing his perspective and experiences to help others offer Long Island patients the best dentistry possible. 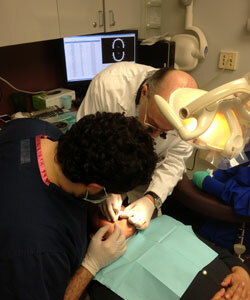 Congratulations To Dr Allan Mohr… Voted By His Peers And Selected To Top Dentists For Cosmetic And General Dentistry! 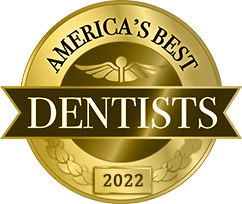 topDentists was started in January 2007 with the intent to identify the best dentists and specialists in the country, and it is the only list of its kind chosen by the dental profession itself. topDentists has over fifty years of combined experience compiling peer-review referral guides in the legal, dental, and medical fields. Using this experience, along with the input of several prominent dentists in the United States, they have created a selection process that has been refined and improved over previous superlative guides. Because dentists must be voted in strictly by their peers, and virtually every dentist is given an opportunity to participate (listings cannot be purchased and no payment is required to be listed), inclusion in topDentists is considered to be a distinct honor. 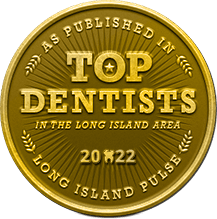 With a circulation of over 1 million and reaching nearly 10 million readers, topDentists is quickly becoming the most recognizable list of dentists in the U.S.
Who picks the doctors and dentists? 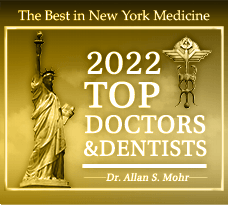 A research and information company, Top Doc America, have published their first annual list titled "2019 Best Doctors & Dentists," which lists those whom Top Doc America has determined to be in the top 10% of the region's doctors and dentists. How Does Top Doc America Decide Which Doctors and Dentists are the Best? The firm conducts in-person interviews with the majority of winners and sends out thousands of nomination forms to medical professionals. The idea is that healthcare professionals are best qualified to judge other healthcare professionals, and if one recommendation is good (think of your doctor or dentist referring you to a specialist), multiple recommendations are better. The firm also relies on patient reviews on websites such as: WebMD, Yelp, Rate MD, Health Grades, Google, Physician Reports, Dr. Oogle, and other leading independent healthcare rating companies. The interview asks recipients to nominate those doctors who, in their judgment, are the best in their field and related fields--especially those to whom they would refer their own patients and family members. Doctors and dentists are asked not to nominate themselves; nominations are kept confidential. Top Doc America asks the nominators to take into account not only professional qualifications and reputation (education, residency, board certification, hospital appointment, and disciplinary record, for example) but also skills in dealing with patients (listening and communicating effectively, demonstrating empathy, instilling trust and confidence). 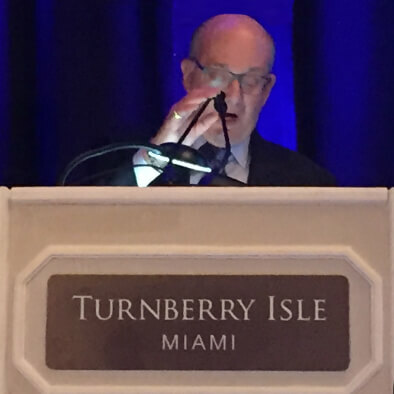 Top Doc America then tabulates the results and examines the nominee pool, confirming the doctors’ board-certification, licensing, and investigating their disciplinary history. The main purpose of the award is to make it easier for the public to meet qualified doctors and dentists to help with the healthcare crisis. Top Doc America does not pick doctors and dentists based on their medical experience, rather it relies on the popularity that they have in their community and the willingness for them to help with the healthcare crisis. Dr. Mohr was interviewed by Long Island's WGBB Healthy Living show to discuss the impact of cosmetic dentistry on an individual's life. Memorial Sloan - Kettering Cancer Center is proud to recognize and honor Dr. Mohr's outstanding leadership, commitment, and financial support in the battle against cancer. Their V.P. of Development said in a message to Dr. Mohr, "All of us are grateful for your generous donations, and with your encouragement, MSK seeks to make the most of the opportunities that lie ahead, both in refining our understanding of cancer and in shaping new approaches to treating it." One of the largest charity walks on Long Island, in which Dr. Mohr, his family, and friends have participated, drew 60,000 walkers and raised $3 million last year. Individuals of all ages participate in a 5-mile, round-trip, noncompetitive walk on the Jones Beach boardwalk. In its 16th year on Long Island, the event honors survivors of breast cancer, remembers those who succumbed to the disease, and raises money and awareness for research, patient services, and advocacy efforts. Dentist looks to give victims of domestic violence a new smile. Dr. Mohr is pleased to have been selected as part of an elite group of dentists chosen to review the latest products in the dental industry. 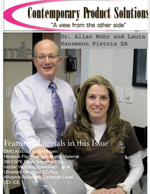 As a Contemporary Product Solutions Co-Editor and Evaluator, Dr. Mohr has access to the latest dental materials and technologies. Dr. Mohr places these products under his critical eye and then evaluates and selects the best technology for his patients. By sharing his findings with the dental world, he hopes to elevate the standards for selecting dental products and equipment nationwide. "With the combination of the world’s leaders in their field, our dexterous, knowledgeable, and experienced leadership team stays ahead of the game by working hard to prepare for what’s next in the field of cosmetic and esthetic dentistry. Contemporary Product Solutions will continue to need and use unbiased, up-to-date, and evidence-based information on equipment, materials, protocols of treatment, and long-term performance." I would like to personally take this opportunity to thank you for being part of our editorial/evaluation team for Contemporary Product Solutions. We are excited about the future of our new publication and believe your professional evaluating will play an integral part in our success and growth. Our vision is to improve the clinical proficiency of the dental team with our unique approach of education utilizing print literature, podcasts, and online videos. With the increasing demands of the dentist, the dental assistant is now taking on more functional responsibility than ever before. Contemporary’s strategy is to increase the knowledge and expertise of the dental team, and most importantly, improve patient outcomes with our new business model. Once again, we are excited about your decision and commitment to be part of our evaluation team, and we are ready to start 2010 on a strong note. I look forward to meeting everyone on the evaluation team in the upcoming months. Thank you again for all you do, and Happy Holidays! 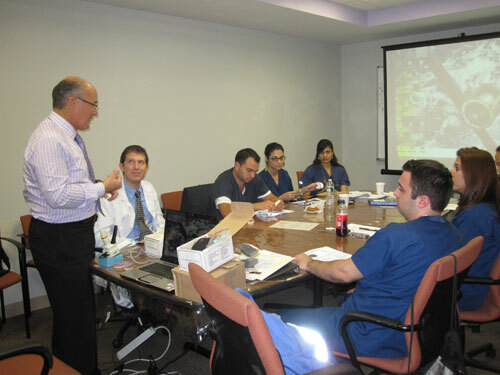 Dr. Mohr has served as the Section Chief in the Department of Cosmetic Dentistry at the Jamaica Hospital Medical Center Residency Program since 1996 and recently received an Excellent Educator rating from the 2011 graduating Residents. 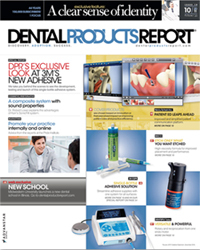 Dr. Mohr reviews the KOR Whitening Deep Bleaching System in Dental 360's Dental Product Shopper. 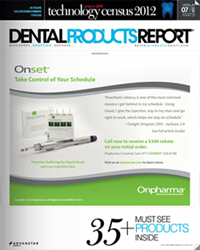 Dr. Mohr details a challenging restorative procedure in this case study featured in the October 2011 issue of Dental Products Report.